The founder of BTR Performance, Bill Trovato, has been engineering advancements in Oldsmobile Performance for over 20 years. 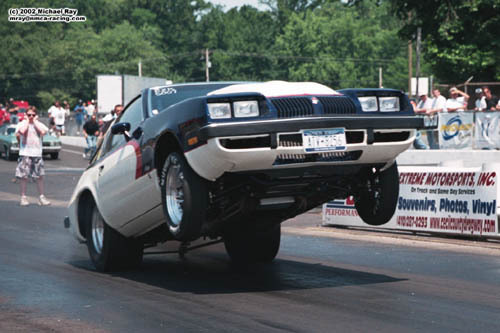 It all started in the mid-80's with his 70 Cutlass which captured nationwide attention with outstanding performance and wheels-up launches at the dragstrip. During the early 90's, Bill made a stint in the NHRA Stock Eliminator Class with his 1970 W-30 442. This car ran 11.30s in stock trim while weighing in at over 3900 pounds!! As the years passed,Bill became intimately involved with Street Legal Drag Racing. The involvement started with running NMCA's EZ Street class in the mid 90's. In class legal form, the car was running close to the top of the pack with mid 9 second passes with the car weighing in at over 4000 pounds, powered by an Oldsmobile Motor. In the late 90's Bill changed gears and started working as a Tech Inspector of the NMCA for several years, and helped l aunch the NMRA while holding the position as Race Director. In the 2001 season, Bill debuted his new 78 Starfire in NMCA's EZ Street class again, and later in NSCA's Limited Street. Again, the Starfire features a Small Block Oldsmobile and, in the 2003 season, ran at the top of the pack with 8.20 quarter mile times at over 166mph! Now, starting in 2004, Bill is making his services available to the automotive&nbsp; performance oriented community. Bill has shown that he has the talent to be personally competitive in a class series while being handicapped with an Oldsmobile Engine. NHRA Pro Stock technology has been utilized in these motors that has helped achieve these outstanding performance levels. These skills are amplified in engine families (e.g. Chevy, Ford) that can benefit more extensively from these techniques. Also Bill has a great deal of experience with motors with heavy nitrous usage as well as systems ranging from plates to direct port nitrous systems. So... contact BTR Performance for all of your high performance needs regardless of engine family and configuration!